Hi everyone! I emerged from the writing cave yesterday with a first draft of my next book weighing in at 107,000 words. It’ll get smaller as I edit it, but that’s two weeks away. For now, I thought it would be a good time to look back on 2014. Music: Book writing music: The score to Belle, composed by Rachel Portman. General music: Wrongchilde’s Goldblooded. Unexpected Occurrence: Joining the Romance Writers of America. Never thought it would happen, but I’m so glad I did it. Oh, and connecting with Sarah Kennedy, Patricia Bracewell and Nancy Bilyeau via the Historical Novel Society was pretty cool, too. Delivering book 3 and another non-related book I’m working on to my agent by the end of June. I did this. Book 3 is still in a first draft that needs work stage, but at least I’ve got my ideas down on paper. The non-related book was He Loves Me, He Loves Me Not, which went to her on time. I also delivered 80% of a non-fiction book and its proposal, which I haven’t talked much about because…reasons. I’m still hoping you’ll see it someday. I just have no idea when. Finally being able to announce when Guinevere book 1 will be available to the world. I really shouldn’t have made this a goal because it’s out of my hands. I still don’t have any news here, but please know I haven’t given up on making it happen. Researching and beginning writing another Celtic era historical fiction novel. This was put on hold in favor of the 19th century American novel I just completed. Attending the Sirens Conference with several of my writer friends in October (and possibly speaking there if I can come up with a topic and get it approved). I decided not to do this because of lack of funds. But I was able to speak at the Lit in Lou festival here in town, so I consider that a win. Finding balance in my life between my day job, writing and all the other demands of life. *snort* I don’t think writing three books in one year along with working a full-time job is considered balance according to any definition. Getting healthier so that I can have more energy to devote to the things I love. Not so much. See above. Being more active on Facebook. (I’m already on Twitter all the time.) This kind of happened. I scheduled weekly posts all year on Facebook, although with as much as they monkey with who gets to see it and who doesn’t, I really wonder about the value. Traveling for research (cross your fingers that I’ll have an announcement on this soon) for book 3 and my current non-related book. Travel for Book 3 didn’t happen, but instead I got to take a week-long creative writing class from Deborah Harkness at Hedgebrook, which honestly, was way more beneficial. 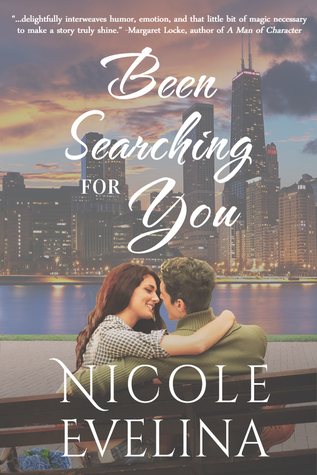 I did get to travel to Chicago to research He Loves Me, He Loves Me Not and I will share some of that with you as soon as the book gets a contract – whenever that may be. Continuing to find new ways to use this blog to reach out to Arthurian/Celtic fans, book lovers and writers. Honestly, I’m not sure what I had in mind for this one. I didn’t do a lot of Celtic topics, but there were a few that came out of the non-fic book. Goodreads told me that I read 70 books this year, but that doesn’t include the five I’ve finished since they put out their tally, nor does it include the 30 something research books I used for the non-fic and the 19th century book. So my total is more like 100. How did I do it? A lot of audiobooks (sometimes two at a time), along with reading every spare moment. That’s about it. I know I was a little sporadic in 2014, especially toward the end of the year, but I’m coming to realize that when I’m focused on finishing a book, blogging is just going to have to take a back seat. I love you guys, but there is only so much of me to go around. BUT, I’m hoping the quality of content I give you weekly in between will make up for it. WordPress did this silly little year in review thing for my blog, so here it is in case you want the details: https://nicoleevelina.com/2014/annual-report/. So I think that’s about it. Is there anything else you want to know about my 2014? I’ll be back tomorrow with another blog and several more this week, so stay turned! Happy New Year. Let’s make 2015 the best yet! I love you all! A Peek Behind the Creative Curtain or Why You No Blog? In the last 2.5 months, I’ve read 15 research books cover to cover and written countless pages of notes. Those notes have become my very detailed 25-page, 15,000 word outline. Which I will turn into a 90-100K book over the next 2-3 months. I’m aiming to write about 1,000 words a day. Then I will let it rest for a few weeks, edit it several times and then let my lovely crew of beta readers beat it up. If all goes well, it will be on submission by late spring. I should also have a new book review up on Historical Honey soon as well as an article on the Historical Novel Society’s site. Will send links when they are up. In November, I’ll be reviewing Robin LaFevers’ Mortal Heart for Sirens (by the way, my next book is a perfect fit for the 2015 conference theme of rebels and rebellion, so you’ll probably see me speaking there), and in December I’ll have two reviews for ebooksforreview.com, my latest book reviewing venture. So if you’ve been wondering why I’ve been a little scattered and not quite as consistent with my blogging lately, this is why. (Remember, I don’t write full-time, yet!) Plenty more news to come and I’ll try to give you a real blog post next Monday. Love to all! PS – I kind of want to create a new blog category for Do All The Things, since I seem to always be doing all the things. I know, I know. I said I wouldn’t do any more posts before the new year. So consider this one a bonus. As you all know, I’m still fairly new to this whole blogging thing and even newer to following other people’s blogs. But I wanted to take a minute to share the ones I really like and say thanks to all my fellow bloggers out there for their insight. If you’re not on this list, please don’t be upset. I wanted to limit it to six and purposefully kept it to ones I’m really familiar with. If I’m new to following you, chances are good you’ll be on a future list! CrazyBeautiful – Dianne Sylvan is a writer of fiction and non-fiction, but I mainly read her blog because she’s funny. Witty and poignant (sometimes in the same breath), she explores life with gusto and says things the rest of us only think (and sometimes, exactly what we need to hear). The Raccoon Society – Maintained by Kill Hannah lead singer Mat Devine (and named for the band’s fans), this blog is part musings on life, part tour diary, and part Breakfast Club Q&A. I’ve been reading Mat’s blogs (in various incarnations) for many years, and his intelligent writing, poetic sensibility and out and out compassion give me hope that there are more men out there like him. I tend to skip the Q&A because of all the teenage drama (that’s his fan base), but I laud Mat for being a role model and taking the time to give honest advice I wish had been around when I was a teen. Lee Safar’s blog – In case you haven’t noticed, Miss Lee is a sort of mentor of mine. She’s a musician, dreamer and seeker of happiness who blogs about all three. Some of her blogs are only for members of the Red Feather community (details on her site), but she shares most with everyone. The thing I love most about her writing is the positive energy, genuine warmth and frank advice. Plus, it’s neat to get an inside look into her burgeoning music career. A Corner of Tenth Century Europe – This blog, written by Oxford Professor Jonathan Jarrett, is one of the best out there for early medieval history. I don’t always understand everything he writes about, but when I do, he’s brilliant. Senchus – The subtitle says it all: “notes on early medieval Scotland.” If you’re history buff or wannabe historian, you’ll love Dr. Tim Clark’s well researched posts. Badonicus – I’m still making my way through the incredibly detailed six-part series on King Arthur that’s part of this blog, but I can say this: if you’re an Anglophile who’s at home dancing the line where history and legend meet, this blog is for you. What are some of your favorite blogs? Or if you have one, don’t be afraid to mention it here (I’m all for shameless self-promotion). I’m always looking for new ones, so please post links in the comments below.